Restylane Lyft is a sterile, transparent gel of stabilized hyaluronic acid of non-animal origin. Restylane Lyft is supplied in a glass syringe with a luer-lock fitting. Restylane Lyft is intended to be used for facial augmentation. It is recommended to be used for shaping the contours of the face, the correction of folds and for lip enhancement. It should be injected into the deep layer of the dermis and/or the surface layer of the subcutis. 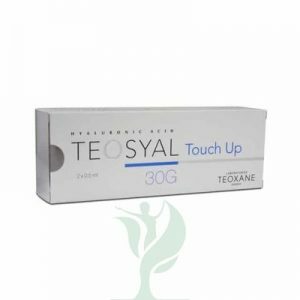 Restylane Lyft will in time undergo isovolemic degradation, which means that the product maintains its volume even during degradation. Restylane Lyft is only intended to be administered by authorized personnel in accordance with local legislation. Restylane Lyft is also known as Restylane Perlane or simply as Perlane. Redefine the face with Restylane Lyft. This FDA-approved implantable dermal filler is made of highly stabilized hyaluronic acid that provides lift and gives definition to the face through nonsurgical methods. Restylane Lyft has been clinically shown to improve the mid-face area after treatments, with long-lasting results. Aging skin is marked by a loss of moisture, leading to volume deficiencies, skin wrinkling and sagging. 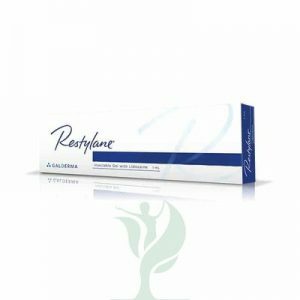 Restylane Defyne counteracts these signs of aging by replenishing volume to the skin with an implantable gel made of hyaluronic acid, a naturally occurring substance with high water-retaining properties. By restoring volume to the skin, wrinkles and folds are diminished and the face regains its youthful shape. Non-animal stabilized hyaluronic acid, NASHA™ (20mg/ml).